CODE NO 520. 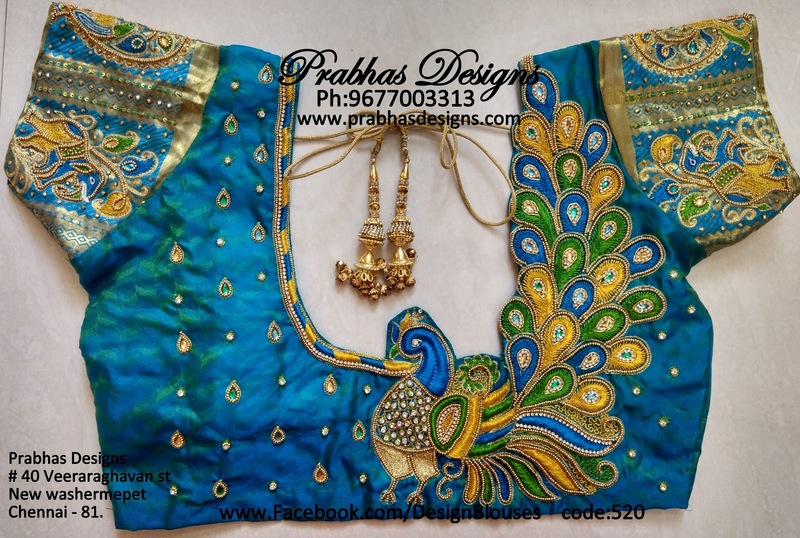 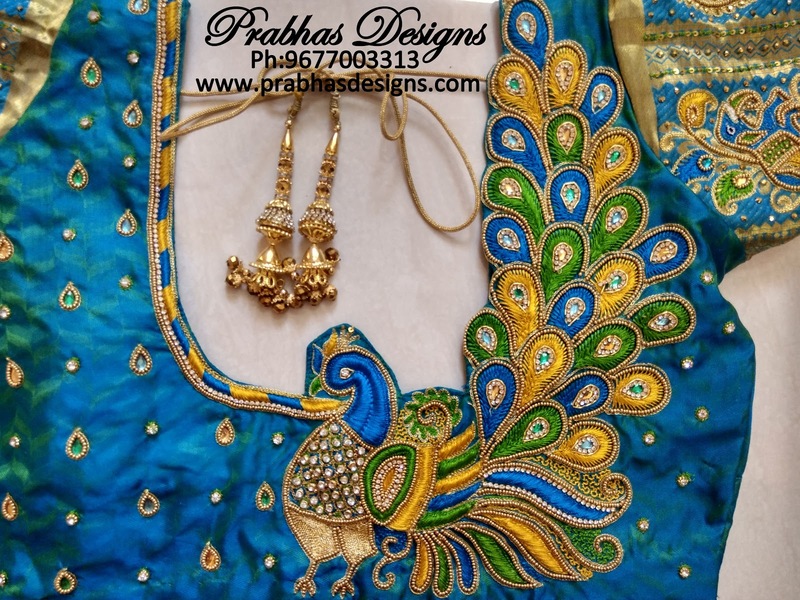 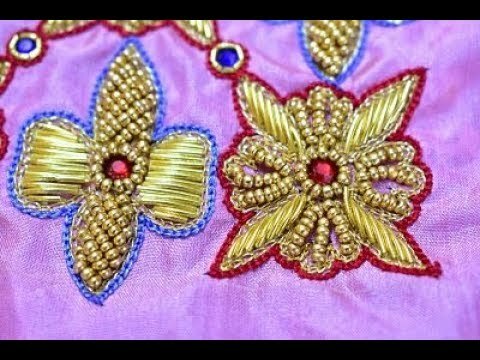 #Peacock designed Aari Embroidery Blouse. 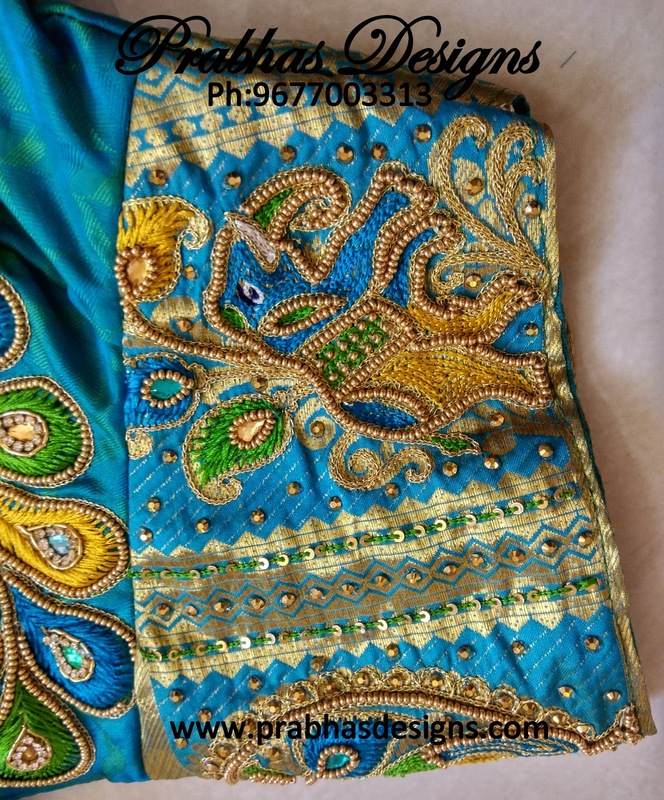 #Chainstitch, #Leafstitch, #Thamboor works,#zardosi #waterfilling #EmbosedLoadstitch, #Beads,#Stonelace etc. 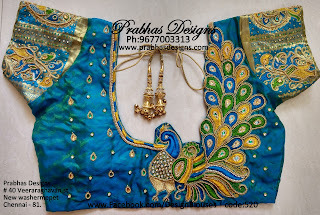 makes this Peacock Blouse looks more Gorgeous.